Explore the past, present, and future of rock music and culture. 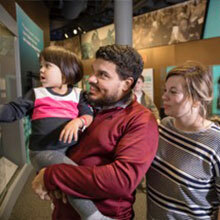 The Rock & Roll Hall of Fame is the must-experience destination in Cleveland where visitors come to connect with their favorite artists and the world’s greatest art form. Discover the stories of the groups and artists who shaped music and our culture through stage-worn clothing, iconic guitars, film footage, photographs, interviews and more. 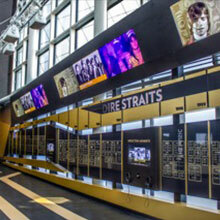 The completely redesigned Hall of Fame reimagines how inductees are presented in the Rock & Roll Hall of Fame. 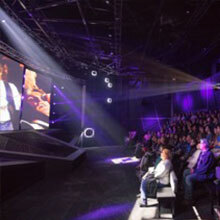 Items are brought to life through storytelling, dramatic new displays, video screens, interactive presentations of fan-favorite inductee moments, an artist signature wall, and an In Memoriam dedication. Explore the 2019 Inductee exhibit, which shares stories about the impact and influence of this year’s class, which honors The Cure, Def Leppard, Janet Jackson, Stevie Nicks, Radiohead, Roxy Music and The Zombies. The Power of Rock experience caps off the Hall of Fame floor, immersing fans into more than 30 years of Induction Ceremonies through Jonathan Demme’s final film—a VIP look at artists from Bob Dylan to Metallica. 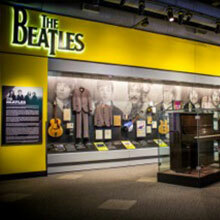 The Beatles exhibit is among the world’s most comprehensive tributes to the “Fab Four.” Other displays feature the roots of rock and roll, hip-hop and superstars such as David Bowie, Elvis Presley, Jimi Hendrix, Madonna, Michael Jackson, the Rolling Stones and many more. 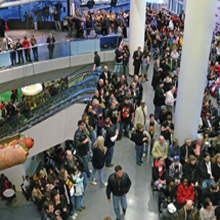 Stop in for a gourmet meal from the All Access Café, featuring Cleveland’s hottest chefs. 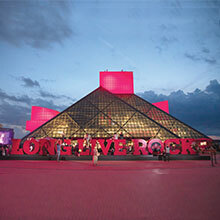 Don’t forget to head to the plaza to check out the Rock Hall’s towering “Long Live Rock” letters for a must-get photo op! 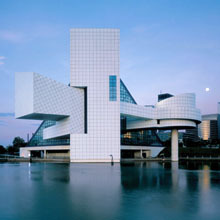 Visit rockhall.com for more information and the programming schedule. 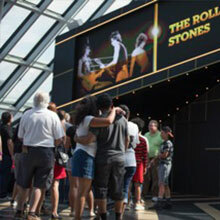 The Rock & Roll Hall of Fame is open 363 days a year!